Today marks the mass-market paperback re-release of Fate of Worlds: Return from the Ringworld. It's the explosive conclusion to the Ringworld series and the Fleet of Worlds series of epic SF adventures. With this edition finally available, all five books in the series are available in mass-market format. What, specifically, is Fate about? I'm glad you asked! It's interstellar conflict among five intelligent species (if you're an aficionado of Known Space: humans, Kzinti, Trinocs, Puppeteers, and Gw'oth) and an AI. It's the answer to countless questions across the Ringworld series. It settles, quite literally, the fate of worlds. Last August, when Fate's original (hardback, audiobook, and ebook) editions came out, I blogged about the novel at some length (including a blurb from Library Journal) in There is no fate (of worlds) but what we make ourselves. 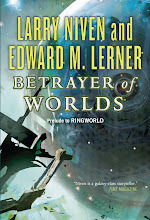 Longtime Ringworld fans and current series devotees should be more than satisfied by Niven and Lerner’s signature hard-sf spin on the events in the climactic final chapters. 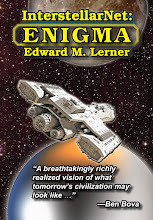 A single triumphant work of vivid imagination and colorful adventure, fraught with enough action, intrigue, surprises and human drama to satisfy any SF fan. If you’re a fan of the Ringworld series, and have read the other novels in the Fleet of Worlds series, then Fate of Worlds is a book that you will crave like a junkie needs his fix. 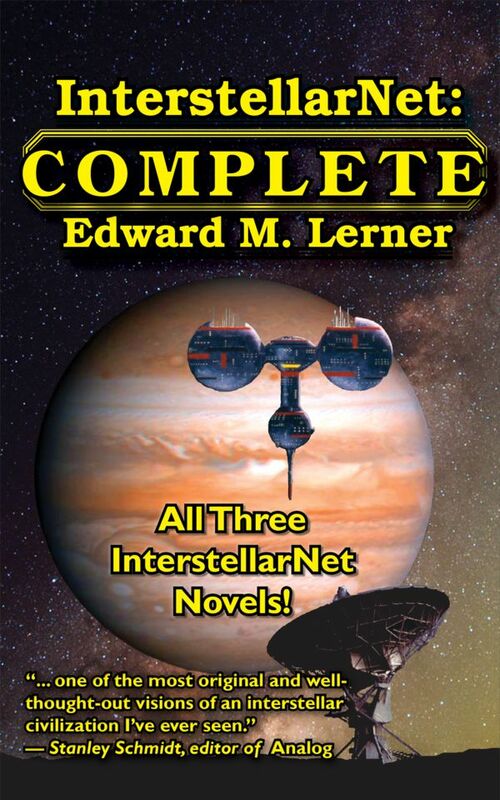 If you haven’t yet read these books by Niven and Lerner, but you love science fiction, then these novels should be added to your Must Read lists. Sir, could you please tell me if there are anything added to the paperback compared from the hardcover? The paperback edition has a few minor corrections, never more than a punctuation fix or few words changed here and there from the hardcover. Nothing substantive. I very much liked Fate of Worlds, I feel the first book and the last are of equal quality. A gap of years in between reading this and the final Ringworld Books means I do believe I need to re-read all of Known Space now!